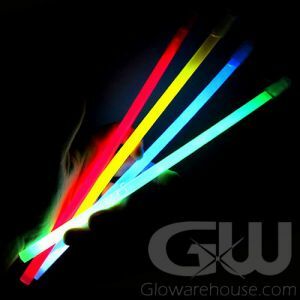 - 15" Premium Glow Sticks Last Longer & Glow Brighter! - 15" Long and Half an Inch Thick! 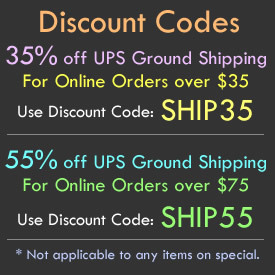 - Use as a Signal Light or Road Side Emergency Light! - Emergency Lighting! Area Marking! Night Sports! 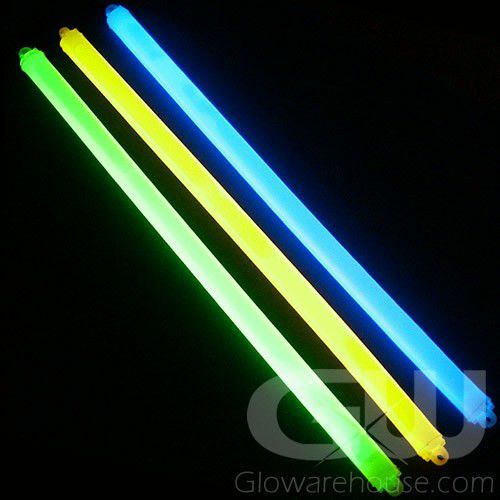 If you're looking for a Big Glow Stick that really delivers maximum light, color and impact, then the 15" Glow Sticks are the light sticks for you! 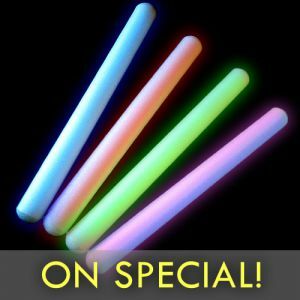 Our 15 Inch Glow Sticks are jam packed with a full seven times the volume of glow liquid of the typical 6 Inch Light Stick. 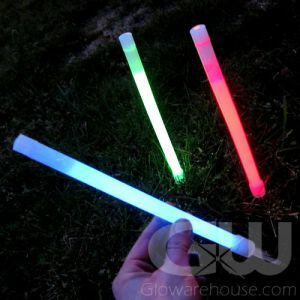 Individually wrapped for increased shelf life, these big glow sticks are waterproof and non-heat producing, perfect for flood, earthquake or hurricane emergency kits. 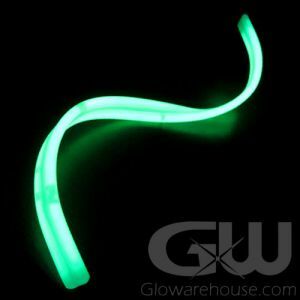 The large 15" glow stick is just simply the best glow stick for night area marking or signalling. 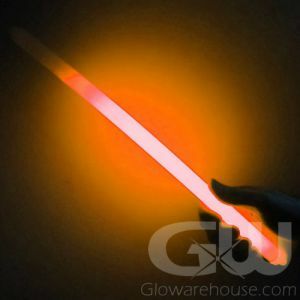 From wilderness survival to military maneuvers to glow sticking and even halloween costumes, the 15" glow stick is a true workhorse. 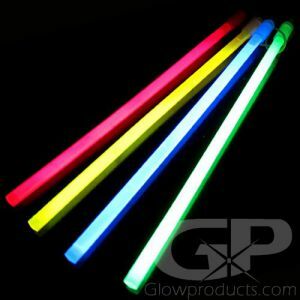 Your perfect party or safety accessory is the 15 Inch Glow Stick — don’t leave home without it!